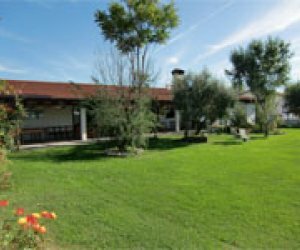 Our farm was established in 1995, is situated in the country behind the Lido di Jesolo,10 minutes from the beach and 50 'from Venice. Rita Bruno and welcome you all yearin a climate hospitable and family: 6 rooms for guests with breakfast service, a largedining room and terrace overlooking the garden with swimming pool and children's playground. On the farm there are bred poultry, rabbits, goats and sheep, etc., in the gardenproduces vegetables needed in the kitchen throughout the year to prepare and tastyregional dishes. It also takes care of the orchard, which offers a variety of jams andfresh fruit for dessert.Ideal for banquets, receptions o... relaxation.